A beautiful solid granite plaque to go with your Gallipoli Centenary Rose. Extra text can be added on request, however this process can take up to 6-8 weeks from the date of order. Please email us to enquire. 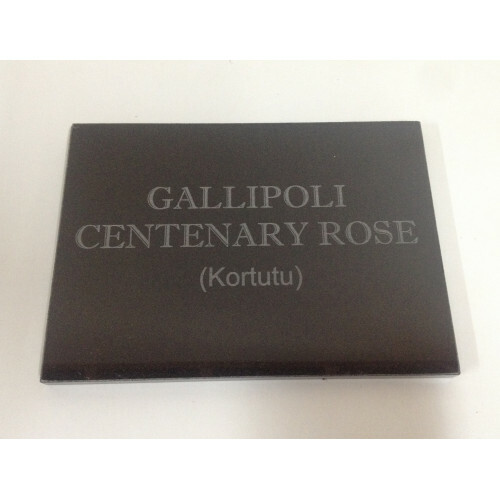 The plaques can be sent with your rose order or separately for a an additional charge of $12.00. Other sizes & materials are available on request.